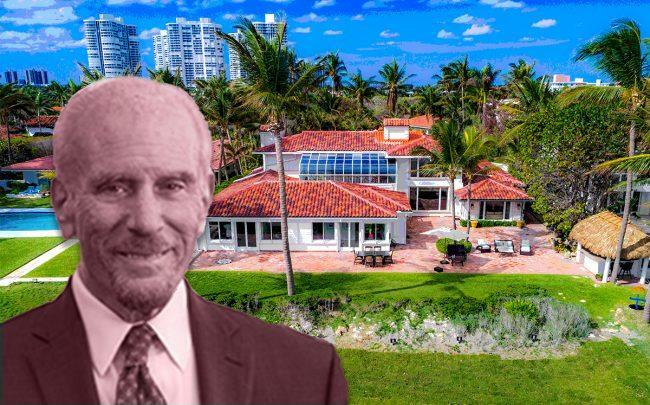 The Meyers Group’s Stuart Meyers sold his waterfront home in Coral Gables and on the same day, picked up a mansion in Golden Beach, property records show. Meyers, chairman and CEO of the development firm, sold his four-bedroom, 6,421-square-foot home for $6.4 million. The home is located at 6988 Sunrise Drive in the Gables. The buyer was an entity called 6988 Land Trust, with attorney Ronald Fieldstone listed as the trustee. Also that day, Meyers and his wife, Dannah Carrie Meyers, paid nearly $10 million for a five-bedroom, 10,000-square-foot estate at 655 Ocean Boulevard in Golden Beach. The sellers were Alan and Janice Lipton. For his Gables property, Meyers paid $2.7 million in 2002, according to property records. The home hit the market in November 2017 for nearly $10 million, and was later slashed to $7.5 million. Jo-Ann Forster of One Sotheby’s International Realty represented Meyers, and Diana Gutierrez with Mocca Realty LLC brought the buyer, according to Realtor.com. The 31,500-square-foot Golden Beach property features landscaping by architect Fernando Wong, two art galleries, an outdoor cabana, a library, and a seven-car garage. Jill Hertzberg with Coldwell Banker’s The Jills Zeder Group represented the Liptons. The Golden Beach sale did not include the adjacent property at 649 Ocean Boulevard, owned by the Liptons as well. That remains on the market for $10.6 million. Both properties were listed together for $21.2 million. The Meyers Group, a Coral Gables-based company, topped off the first phase of Avery Dania Pointe, a mixed-use project with nearly 1 million square feet of retail, restaurant and residential space, this week. The firm, which has a regional office in El Paso, Texas, is also building apartments at the sprawling Dania Pointe project.